Our bespoke Wilmington range extending oak pedestal table, shown here with the additional loose leaf inserted and six ladderback upholstered seat side chairs and two carvers, making for comfortable eight seater dining, when the need arises. 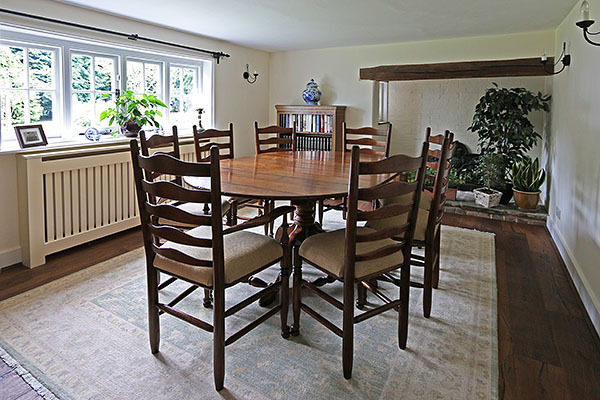 Pictured in the dining room, complete with attractive inglenook fireplace, of our Sussex clients period farmhouse. 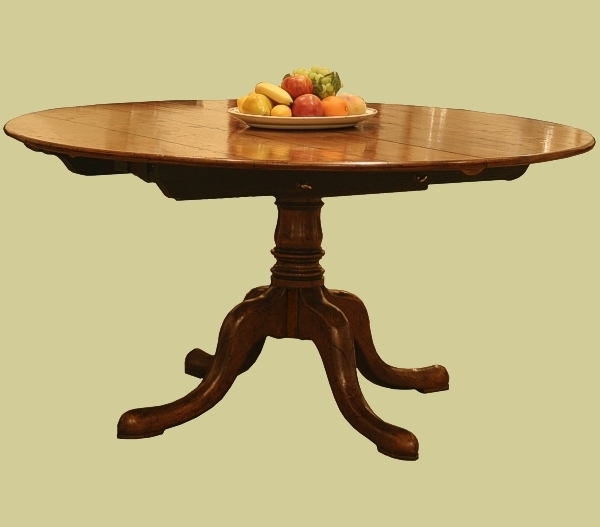 To see the table in its circular form (without the additional leaf) and four side chairs, for normal everyday use, click: Round extendable oak table & ash chairs in Sussex farmhouse.